for one of my Christmas Trees. 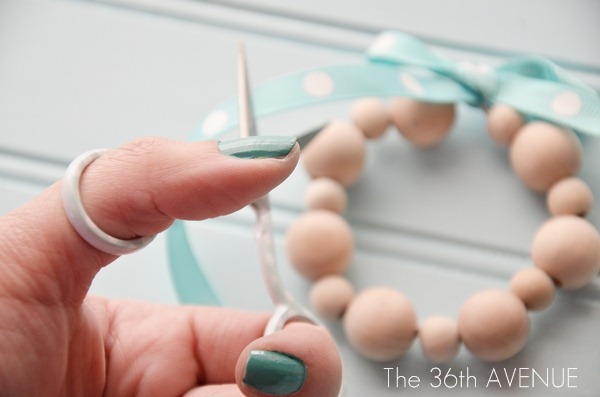 This is such a simple project that you could involve those little hands around you. I cut mine 5.5” long. 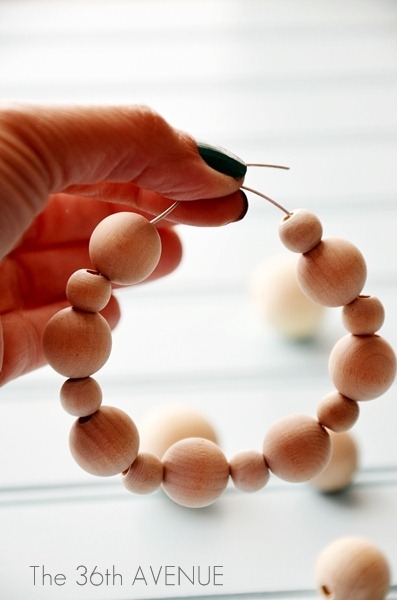 Use the wire to thread the wood beads. I mixed sizes in a pattern to make it a little more fun. trying to connect the ends as close as possible. 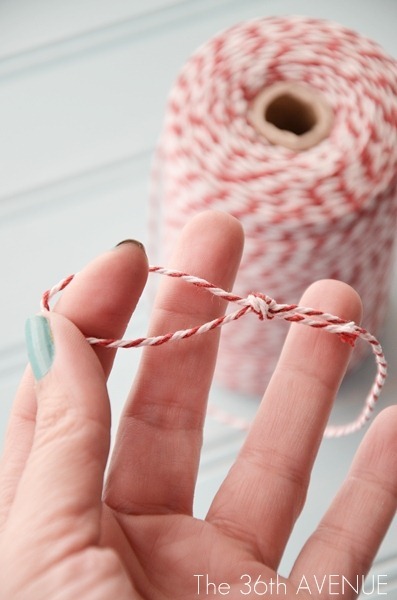 Then use the pliers to roll the wire and cut the excess. At this point you are ready to add the ribbon. 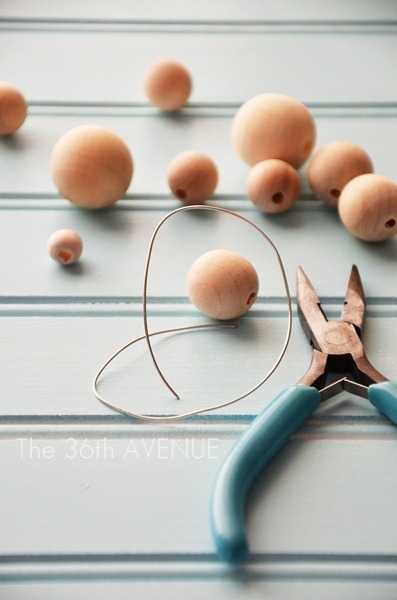 The last step is to add some Bakers Twine to hang the ornament. We are done my friends! You can paint or finish the beads. I want my ornament to have a neutral, simple look. Make it your own and have fun with it! 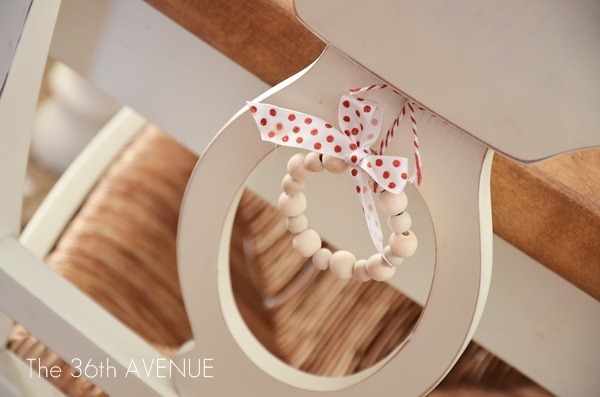 Look how cute they are hanging as a small wreath from the back of my chairs. You are so talented! I love your work. Thanks for being a source of inspiration for me! I can also imagine these with metallic painted beads. Super cute ornament! Monica, I love your idea! I really love that raw wood look. So clean and fresh! Love the natural look 🙂 Thanks so much for sharing! Very cute! 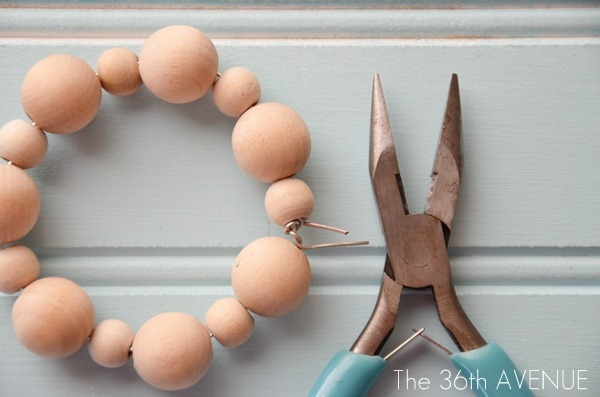 Love wood beads! So easy and I think I have all of those products on hand. Bonus! 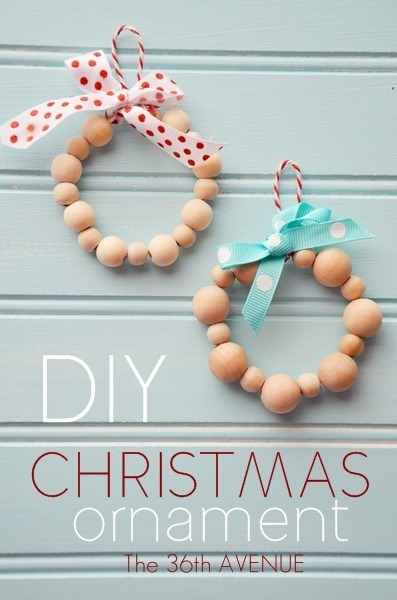 These are cute–I am passing along to a teacher friend along with some of supplies needed. 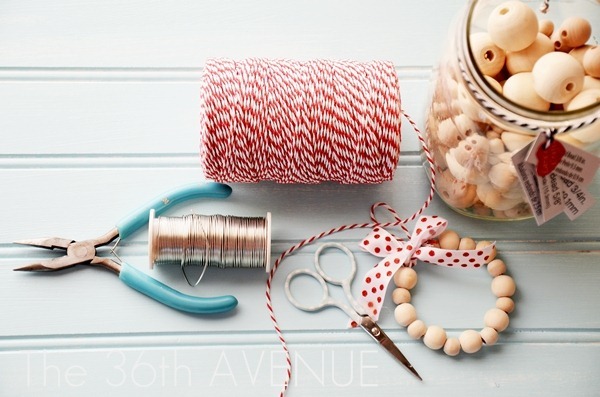 She is always looking for things to occupy her 4th graders and this is a great idea. I love that idea as well. They can even use colorful plastic beads or the children can paint them to make it super fun for them.